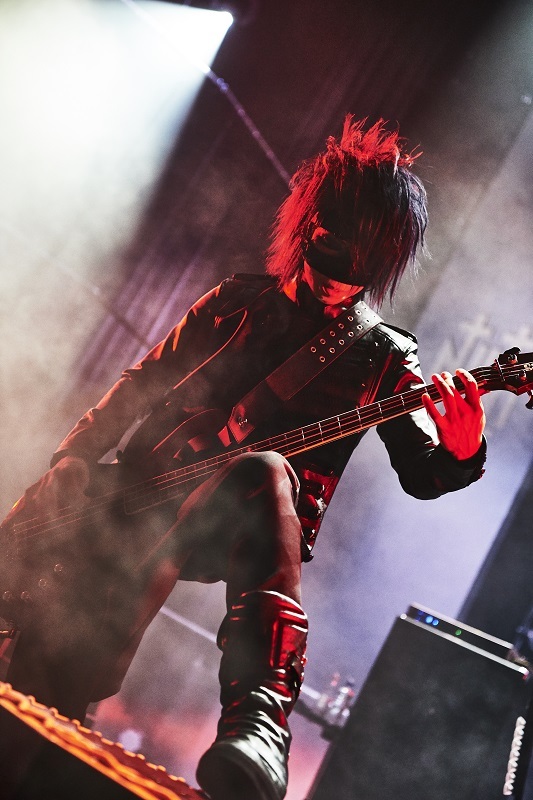 Saitama hosted the first live of the GazettE tour this year. As many expected, in the first day of the tour all merchs were sold out in no time; the lovely bear set and the Reita’s bear with his trademark of caps sold out just within two hours after the sales were opened. Interestingly, this time people lined up inside the hall; the staff were so considerate, knowing that day was very hot outside! The live started at 6.30 pm. Opened with the SE, five9-as Ruki called it, and with the NINTH symbol from the album as the background, all members came onto the stage, accompanied by fans’ screaming. The first song was Falling, the song that fans were familiar with. The tension went up with the next song, NINTH ODD SMELL. Kai’s drumming started the song and all fans launched into headbanging in sync with the music. 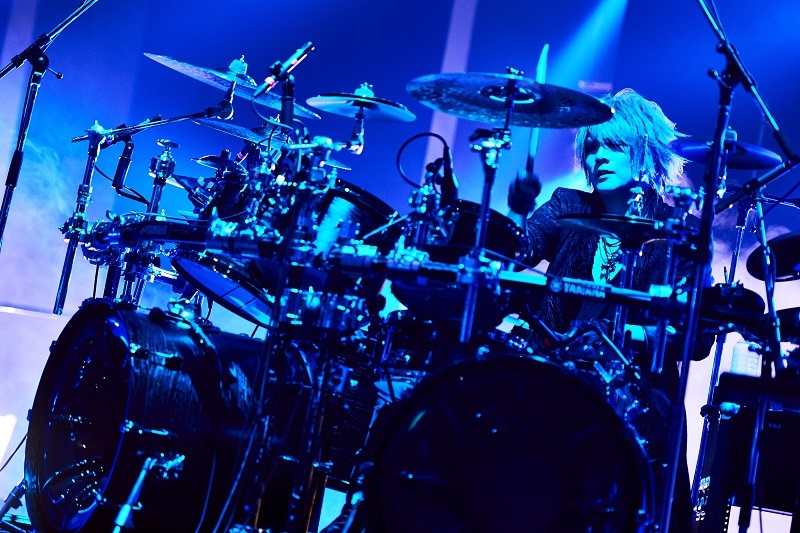 UGLY followed, keeping the beat up as fans screamed and pumped their fists, responding to Ruki’s call. After UGLY there was a break of a few seconds that allowed fans to call the members’ names. Ruki answered the call and gave his first MC on that day. The setlist continued with GUSH with Reita joining Ruki at the center in the middle of the song, followed by DAWN that made fans jumped together. The band kept the tension running high, inviting the fans to feel the music with all their hearts. 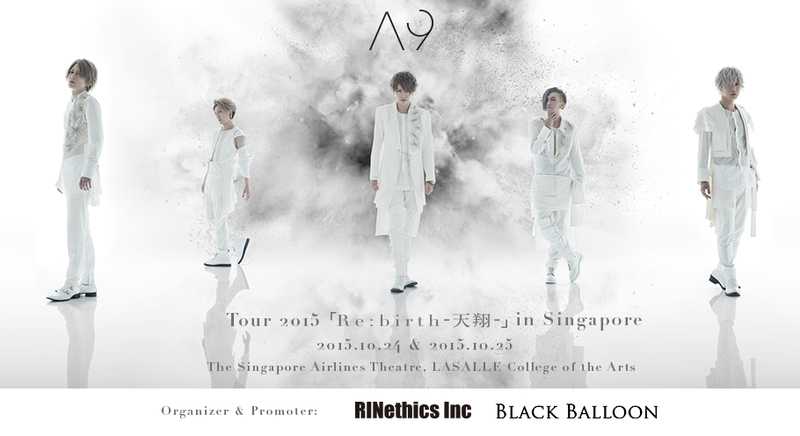 Different from the album version, several songs from NINTH were started with new intro sounds. 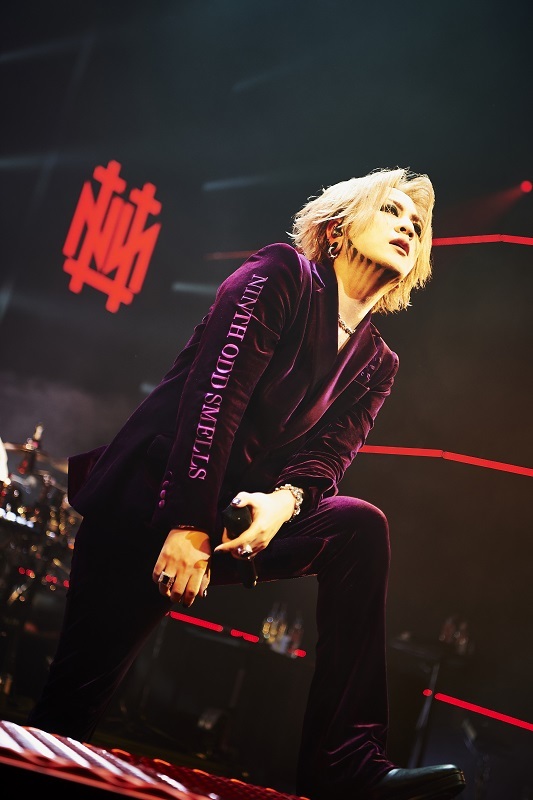 During URAGIRU BERO’s intro, Ruki started dancing, moving his body and calling on the fans to join him enjoying the music. Next was Reita’s solo time as THE MORTAL started and the lighting focused on him completely. The tension was going down a bit when it’s time for UTSUSEMI and SONO KOE WA MOROKU. Both guitarists showed off their awesome guitar play during these two songs. The setlist turned darker afterwards with DEUX and THE BABYLON’S TABOO. 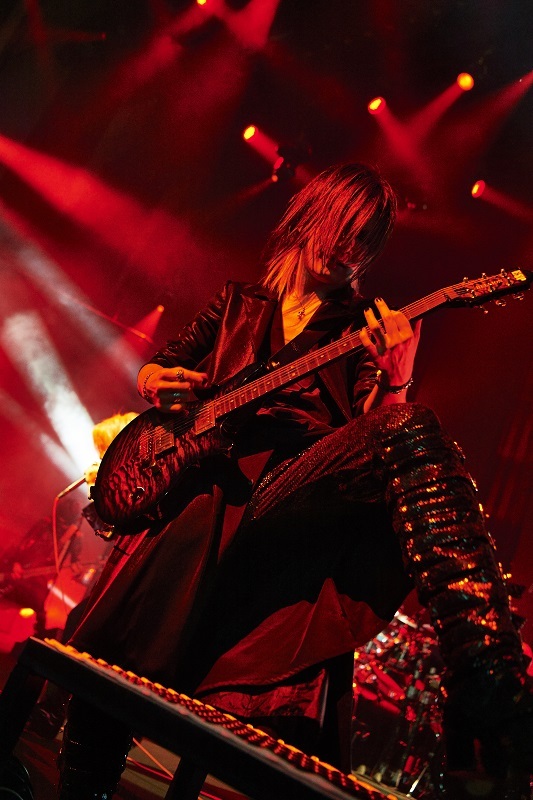 Uruha danced wildly in his own world as BABYLON’S TABOO is his song while Aoi presented a wild solo performance at the end of the song. Fans just could never be bored seeing the performance of the two. At the second MC, Ruki asked fans how the concert was and whether they enjoyed it. He also talked about making the furi since it was still the first day of the tour and fans might not know how to move and react to the songs. It was a funny short talk. The talk was then followed by ATTITUDE, which Kai started with his famous words, “kakatte koi!!”. The tension increased even higher with TWO OF A KIND and ABHOR GOD right after. Every “atama, atama! !” by Ruki was responded with wild headbanging. Uruha also headbanged in unison with the fans. It was completely the GazettE world inside Misato Cultural Hall. Unwilling yet to end the live, the GazettE ended the first part with UNFINISHED. All members left the stage for a while but returned for the encore not long after. During the encore, Aoi and Uruha wore the black T-shirt from the merch, while Kai wore the white one. However, Ruki and Reita kept wearing their Falling outfit. Hearing Kai’s drum beats, fans raised their voices in excitement, knowing that the first song for the encore was INSIDE THE BEAST. The party started again, with the fans and all the band members melted into the fun atmosphere. The members maxed up their charm: Ruki danced very cutely, Uruha went over to kamite and gave some fanservice there. He played man-to-man with Aoi, both smiling widely. They continued with Zetsu, the song that made fans scream and remember their 15th anniversary concert. All the members except Kai moved forward during this song, looking so happy seeing fans’ reactions, especially Ruki. The vocalist later remarked in his MC how he wanted NINTH tour to be the best tour ever. Fans seemed to not be tired yet; they still moved and headbanged wildly during IN THE MIDDLE OF CHAOS and FILTH IN THE BEAUTY. The first encore ended with TOMORROW NEVER DIES. Ruki said “Thank you Saitama” before he left the stage. Answering the fans’ call, members returned to the stage and played LINDA. 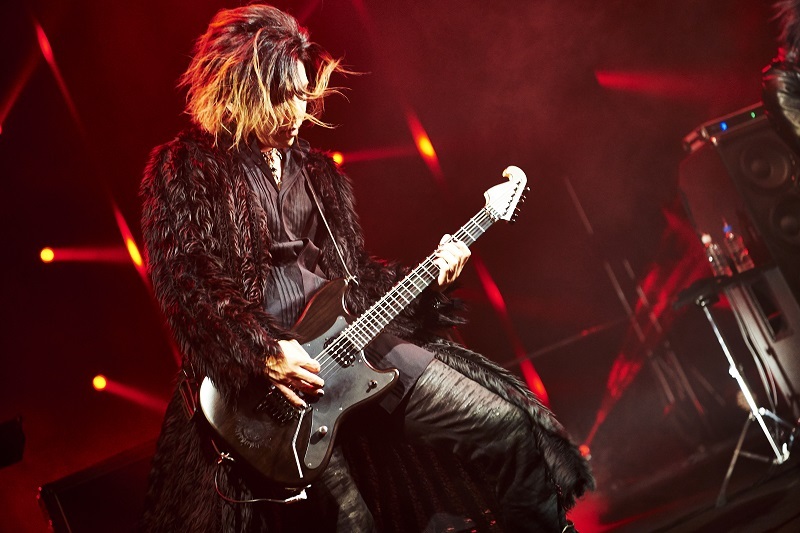 Aoi looked so gorgeous during his solo with his green guitar. Meanwhile, Reita offered two things here: his renowned spin and some fan service with Uruha. It ended the live on that day for real. And right after the members disappeared from the stage, the announcement for the second phase of the tour was rolled out. Get ready for the next hot tour of live houses starting this November! And meanwhile, the GazettE will not give you a rest, continuing the PHASE #01 of the tour and presenting the NINTH experience to fans! All the reports and blog posts are written based on the author's own experience, and the pictures are taken by authors of this blog, official photographers, or of contributors with permission to display them here. DO NOT REUSE/REPOST WITHOUT PERMISSION. 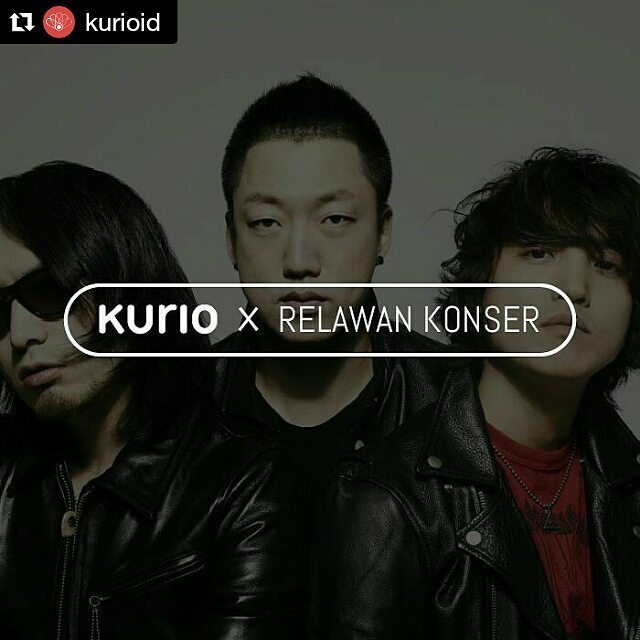 Semua laporan dan tulisan di blog ini ditulis berdasarkan pengalaman sang penulis sendiri, dan foto-foto diambil oleh para penulis blog ini, fotografer resmi, ataupun kontributor yang telah memberikan izin memajang fotonya. 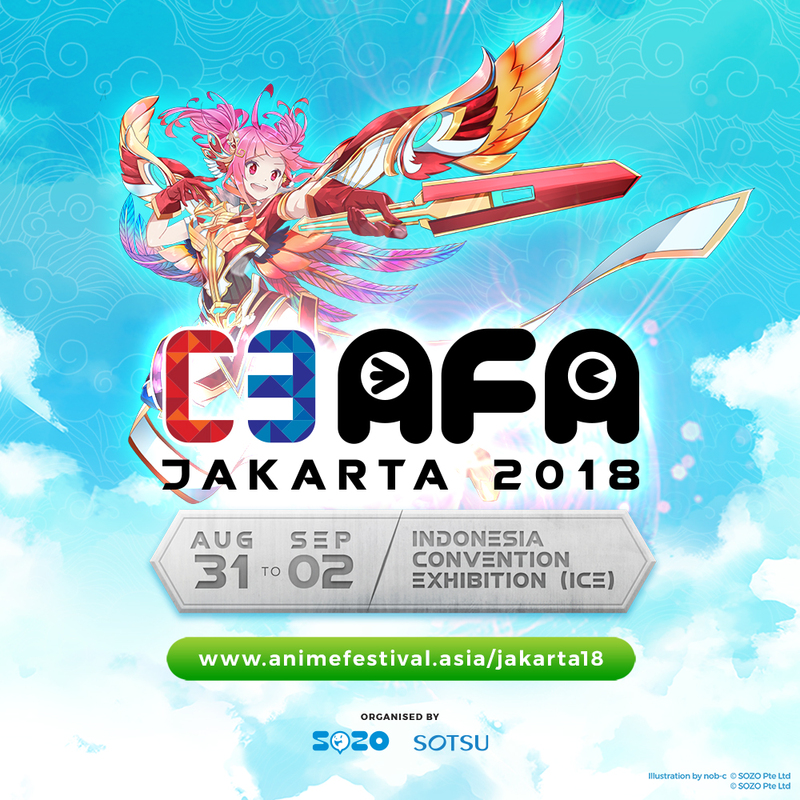 JANGAN DIGUNAKAN/DIPAJANG DI TEMPAT LAIN TANPA IZIN.